You, Me and Movies: BREAKING NEWS: "The Inhumans" are coming to TV in 2017. BREAKING NEWS: "The Inhumans" are coming to TV in 2017. Back in October 2014, Kevin Feige, producer at Marvel studios, was unraveling his plan for Phase Three of the Marvel Cinematic Universe. We were so stoked for movies like "Black Panther," and "Captain Marvel." We also got excited for great movies that have already come to pass, like "Captain America: Civil War" and "Doctor Strange." One movie that was promised in the Phase Three line-up was "The Inhumans," a unique group of superheroes that got their powers through walking through mysterious, alien mists. It was was going to be a bold Phase of films, and I could hardly wait for them to get started. Then on ABC's "Agents of S.H.I.E.L.D." 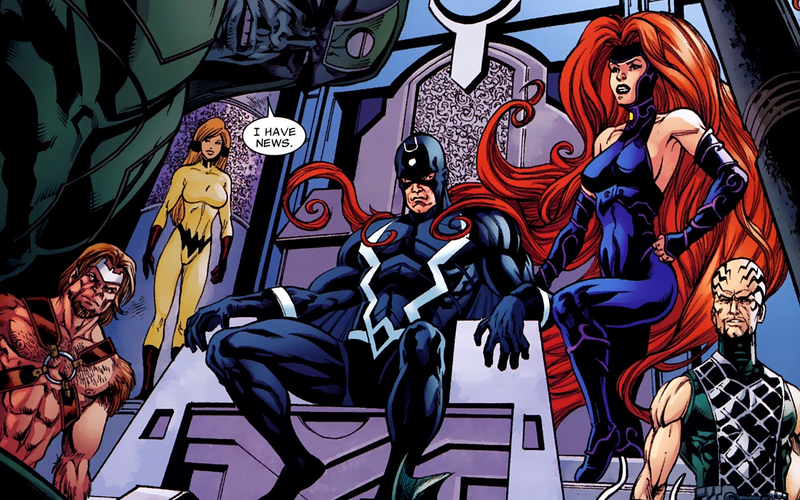 they introduced the concept of "Inhumans" on the show. Oh man, I thought, we were going to see some kind of true TV-movie mesh soon. Something fans have been craving for awhile. We are so pumped and primed to see the Marvel TV characters share a screen with the movie characters that its driving us mad. This was the first big step, and we got evermore excited to see the "Inhumans" movie. But there were setbacks. Marvel got Spider-man back, "Ant-Man" was a sleeper hit. Then they began adding more movies to the Phase Three timeline. Movies got pushed back, and the schedule got bigger. The biggest question mark was "The Inhumans" movie, and it thought that it wasn't going to happen. Rumors fluttered the internet about no Inhumans movie. Then in recent months, Kevin Feige gave hope, we would see The Inhumans eventually. Did he mean Phase Four? When would we see them? Tonight, the question has been answered. The Inhumans are coming to TV in 2017. It was announced today for a show premiering in Fall 2017. Along with the first two episodes appearing on IMAX screens weeks before the premiere. So while its really cool to finally see The Inhumans, why bother with two IMAX episodes in theaters before the show begins when you can just see the episodes on your TV for free? I am not sure I understand the logic behind that. From a fan standpoint, I would have loved a feature-length movie version of these characters. I'll be interested to see how a network like ABC has the budget to properly adapt the Royal Family of Inhumans to the screen.